Creating a Good Attitude and Co-operative Behaviour– what to do when your dog won’t listen. Search the internet and there is no end to the debate regarding the use of positive and negative consequence in training dogs. Interestingly, there doesn’t seem to be any confusion with children! It has long been established by leading psychologists that both types are essential in raising healthy and balanced human individuals. I am simply going to say that it is my firm belief that there must also be both with dogs, we need balance. In nature, there is both. Rules or laws of some kind are a part of life and exist everywhere, all social mammals have rules so let’s not pretend that anyone is better off without them. Your dog needs rules to feel safe and to know what is acceptable and what isn’t. If someone is having issues with giving their dog rules, the first thing I do is look at why. Their own belief system or experience with rules in their own life may be the reason, or they may think the dog will be scared or traumatised (this should never ever happen and is the opposite of what we are trying to achieve). It is common for us to project our own emotions onto our dogs without realising, so if you have resentment or an intense dislike or fear of being controlled, it doesn’t mean that giving your dog unlimited freedom is the healthiest or the most loving thing to do for them. Living through your dog is disempowering for you both. They have a different psychology to us and we need to fulfil them accordingly to their own hierarchy of needs, not ours. The wonderful thing is, once your dog understands the basics, you’ll find that you rarely have to follow through. The whole point is to teach them to co-operate the first time every time, and that by doing so they will avoid the consequence entirely. Doing the hard yards early on gives your both more freedom and enjoyment in the long run. A dog who doesn’t co-operate unfortunately usually ends up spending way too much time in the backyard or shelter. What do you think the dog would prefer? Here are some points to consider when teaching and enforcing the rules that you create for yourself and your pack. Consequences are a natural and healthy way for us to learn how to navigate our world, both socially and environmentally. They are an opportunity for your dog to take responsibility for his/her own actions and to learn to make good choices. They should always be used as teaching tool, never to cause shame or bad feelings. Some natural consequences would be if your dog leans on a cactus, if he tries to take a bigger dog’s bone, if he eats a particular plant and burns his mouth. These are examples of negative consequences, but not punishment. Punishment is never the answer. It is both unnecessary and ineffective. Other ways to describe consequence is cause and effect, pressure and release, or comfort and discomfort. Basically, a choice that feels good vs a choice that feels not-so-good. Moving into the shade on a hot day is an example of cause and effect – moving away from discomfort or pressure towards comfort. Keeping this concept in mind will help your dog to understand quickly and easily what you are asking. For example, if you are asking your dog to go outside and he doesn’t want to go, create a consequence for being inside so that he sees going outside as the better choice! He needs to understand that by ignoring you and staying inside, it will be uncomfortable UNTIL he does what you’ve asked and goes outside. ** If he seems confused, make sure you stop and go back over the basics. Don’t give a consequence to a dog for doing something he isn’t doing on purpose or something he genuinely doesn’t understand. For the purpose of this article, I am assuming the dog knows what is being asked and is just refusing. There’s a big difference. Allow your dog to understand that HE needs to make the decision to go outside, ie he needs to take responsibility for his choice. This is a huge concept which empowers your dog and maintains their dignity. Your job is just to set it up and then be clear and follow through once you’ve asked. Do not try to “make” or “force” your dog to comply, or he will resist or resent you. Always ask as if you expect your dog to do the right thing regardless of history. If your energy or your own attitude is doubtful, you’ll set your dog up for failure. Ask respectfully and build from there. Expect him to respond as though he is perfectly trained, and then if he doesn’t, be ready to correct or give the consequence immediately, every time. Don’t resent your dog for not wanting to do what you want, but don’t let him off the hook either. Give your dog a verbal warning well before any correction or consequence. Think of the old concept of 1,2,3, smack, with smack just representing whichever correction you have chosen. You might say “uh uh” or “bah” or “no”, it doesn’t matter, as long as you are consistent and your dog knows that they need to change their behaviour NOW before you follow through with something they don’t like. Never just escalate straight to correction. You must be predictable and fair, which means giving your dog a CHOICE as to whether the correction happens, for your dog to have trust in you. Get creative. There are many ways to create discomfort or pressure (never pain); you can use a spray bottle filled with water or with a dash of vinegar, a tea towel, clap your hands, move towards and crowd your dog, stamp your feet or use a lead. I even used a dustbuster once with a dog who hated the noise of the vacuum cleaner. It is supposed to be something your dog doesn’t like and wants to avoid. That’s the whole point. If you’re confused about whether a negative or a positive consequence is needed, refer to this golden rule – a negative reinforcement will decrease a behaviour, and a positive reinforcement will increase a behaviour. If it’s a behaviour you don’t like, then use a negative. If you want your dog to do it again, use a positive! Pick one. Keep it non-personal and non emotional. This is business! It’s normal and healthy for your dog to try to get their own way. Don’t force, bribe or react emotionally or it will likely become a game and a way to weaken you and get a reaction. Asking your dog to make their own decision is also far more respectful than forcing or bribing, and lets them maintain a sense of control. As soon as your dog makes the ‘right’ decision, immediately take the pressure away and allow comfort. Pay attention and be ready to respond the instant your dog make the ‘right’ choice. The timing of both negative and positive feedback is so important. You only have around 3 seconds for your dog to link a behaviour to a consequence. The ideal time is during the behaviour you want to shape, so finding a way to give a consequence while the behaviour is happening or as soon as it starts is your goal. It is for this reason that the concept of ‘time out’ is rarely effective for dogs. Not talking to your dog for the rest of the evening, or not giving them dinner might make you feel better, but it won’t change the behaviour for next time. I have many owners assure me their dog “knows” what they have done wrong after the event, but I disagree. They will sense that you are upset or mad in that moment and try to appease you, but they won’t relate your emotion to something that has happened already. They may even remember you getting home another day and being upset when you went near that hole in the ground, so they assume you will do the same today (being near holes makes mum angry), but again, they generally won’t make the connection not to dig tomorrow unless you provide feedback as the behaviour is occurring. Keep the consequence appropriate for your individual dog. What works for one may not be appropriate for another. A stern look or voice correction might be enough for one dog, while another will need a strong lead correction before they’re motivated. Start with a low level and build up to where it’s effective, and always use the minimum needed to change your dog’s behaviour. In a way, your dog will ultimately be the one determining the level of consequence. Failing to follow through before your dog has responded can be confusing for your dog and often results in having to go to a higher level next time, so trust the process and respect your dog enough to know they will change their behaviour when the level of discomfort is no longer “worth it”. When I have had to use very high levels of consequence with clients’ dogs it is usually the result of a history of accidentally teaching the dog that if they refuse to listen long enough or push back hard enough, the handler will back off and they will get away with it. Interestingly, it’s the smartest dogs that work this out the most quickly and the ones who are then labelled untrainable or stubborn! This strategy can be disastrous however, and correcting this attitude means temporarily using a level much higher level than the dog would have needed or chosen if it had been handled properly in the first place. Once they have relearned, the level needed usually goes and stays right down, which makes complete sense. Many highly anxious dogs also learn this, and a panic or escape mentality can often be the result of having no effective follow through. The point here is, please don’t think you are doing your dog a favour by avoiding consequences early on. Get on top of it early is much kinder and much more effective. Back to balance. Consequence needs to be balanced with praise, so allow your dog to succeed more often that they make mistakes. Dogs can suffer from failure anxiety or shut down just like us if they feel as though they can’t get things right or that they are always being corrected. Show your dog daily that you love them, respect them and that they can trust you to be fair and firm always. Your relationship is the priority and is far more important than the results you are trying to achieve. Pick one thing at a time to work on and let your dog get it right before moving on to something else. Keep it simple, and make sure it’s interesting for your dog. 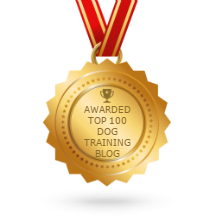 Whenever possible, incorporate your “training” into your everyday lifestyle so what you are asking has a purpose and makes sense to your dog, and makes more sense time wise also. For eg, asking your dog to go outside while you clean, or waiting away from the table while you eat, has more usefulness and meaning than asking them to sit or shake hands over and over. A good attitude is one of the most important concepts to create in any dog. Your dog should want to work for and co-operate with you, evolution has successfully shaped dogs into exceptional team players. If you’re struggling to work together smoothly, work out the reason why. It may be your own behaviour that is getting in the way. If you’re stuck, ask a professional for help! That’s what we’re here for!